Android Tablets are following Apple’s lead and dropping prices in an effort to sway holiday shoppers away from the competition. Similar powered Android tablets in trying to compete with the more popular Apple iPads are driving down prices for consumers. The 10.1-inch, WiFi only ASUS Transformer Pad Infinity TF700T Tablet boasts a 1920 x 1200 pixel HD display and 32Gb storage for only $469 at Newegg.com – a $30 markdown from its list price. Compared to a 32GB iPad 2, WiFi only from the same dealer at $599.99 (a 14% markdown), that’s a difference of $130 for essentially the same hardware. Jumping over to Best Buy, the Apple iPad Mini WiFi only tablet with 32Gb of storage is listed at $429. Two problems with this are it isn’t in stock and it has a full inch smaller display than the competition, the Amazon Kindle Fire HD which lists for $369 at Best Buy and most other vendors. That’s $60 less for an inch more screen. Neither of these are on sale – these are list prices. Competing at the head of the pack with the WiFi only Apple iPad 2 with 64Gb of storage and 9.7-inch display listing at $699, Android tablet prices are still dropping for holiday shoppers even though they are already below the list price of the iPad 2. 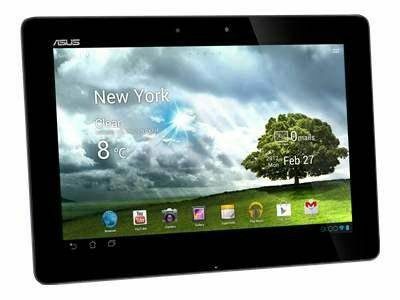 Several Android models match the largest storage capacity available for a tablet including the Asus TF700T-C1-CG available at Walmart for $20 off at $579. That’s $120 less than the iPad 2 similarly equipped. While this all seems apples to apples, it’s really Apples to Androids. The big differentiator between the two platforms is the ecosystem behind them. The Android is supplied by the Google app marketplace. Similar in size to the competitor, Google’s app marketplace has been plagued by some buggy and virus laden applications. Such is the nature of the wide open frontier Google is so proud of. By contrast, Apple’s App store is tightly controlled and relatively bug and virus free. When comparing the two choices out there, the ecosystem behind the product is something many people forget about. If consumers think Apple products are too expensive, lower prices on Android tablets may be just what the gift shopper ordered. Are lower priced Android tablets a better option for you than the higher priced Apple competition? Let us know in the comments below!